Blockchain technology has the potential to help ease banks’ profitability pressures, particularly in Europe’s negative interest rate environment, an audience was told at an offsite briefing yesterday morning. Patrick Laurent, a partner at Deloitte, told delegates at a breakfast meeting organised by Temenos that companies such as Ripple had already developed blockchain solutions that could help. His assertion was supported by live polling at the event, which showed that the majority of the around 80 bankers, technologists, consultants and others gathered viewed lower infrastructure costs as the key benefit of blockchain technology. Enhanced customer service and transparency also scored highly as benefits for the banking industry. The audience identified trade finance, payments and lending as the key end use cases in corporate banking. 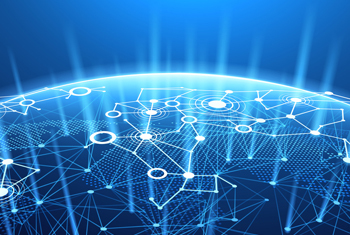 Daniel Aranda, managing director, Europe at Ripple, disagreed slightly, pointing out that end users can get a utility out of using blockchain technology themselves internally, although he did admit it is a “network influenced” play where the more people that use it – with appropriate privacy and banking controls – the better. Darryl Proctor, product director, transaction banking and payments, Temenos, welcomed the R3 consortium as a good example of collaboration, prompting further discussion of other practical end uses for the technology. “ABN Amro has a blockchain tribe that selects end uses and tries to prove the concept,” said Stutvoet. “We recently completed a project to set up a small consortium with a large retailer using smart contracts on the blockchain and are bringing it live now, less than a year after the project began.” The tribe will next be looking at a transfer of funds use case, he added. In this environment you don’t need to trust the institution, but this viewpoint was not universally supported as banks naturally worry about privacy, trust and certainty as key cornerstones of their business. “As do regulators,” added Temenos’ Proctor, pointing out that it’ll take time for the technology to be accepted, as happened previously with the rise of cloud computing. “Interoperability is fundamental to allowing an ‘internet of value’ that enables money to move around freely,” said Ripple’s Aranda, pointing to the open standards work the company is contributing to with the internet body, W3C, to improve distributed ledgers as an example. The end point must be to allow “databases of value” to connect using cryptography.